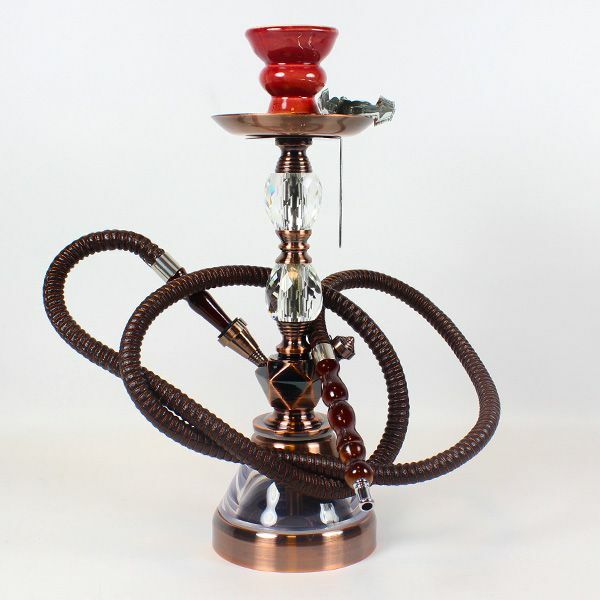 We like this shisha pipe and from feedback that we get, you like it too, whether it is the cool coffee coloured metal and cut faux-glass, the ornate metal work, or simply the fact that it does just what you want, gives a cool satisfying hit when you come home from a hard day’s work and want to sit and relax in your favourite chair. 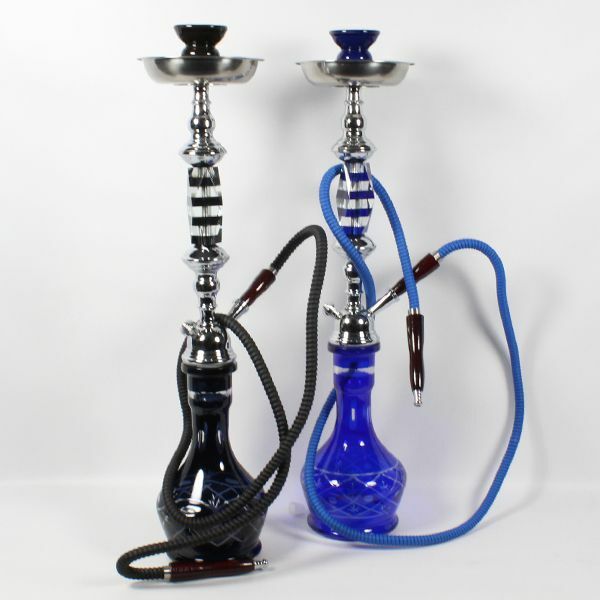 If you are new to shisha smoking perhaps just moving over from vaping, the shisha can be referred to, as the Egyptians do, call it a water pipe or hookah, but what is clear is that it is becoming more popular here in the UK, particularly with young people. This could be because of the number of flavoured tobacco that is now available; many popular flavours now include apple, strawberry, mint and cola. Unlike some shisha pipes, the Mini Espresso 26cm Shisha Pipe, is very ornate and will make a great decorative addition to your home. However, we imagine it will not stand on the sideboard for too long, so why not get something fruit flavoured and delicious to smoke in it, you will not be disappointed! This delightful Skull Candy shisha pipe can not only give a cool and satisfying smoke, but it can also be a funky decoration sitting on a sideboard or display cabinet. Perfectly decorated and in a range of colours, complete with a gorgeous sugar skull design on the ceramic base. 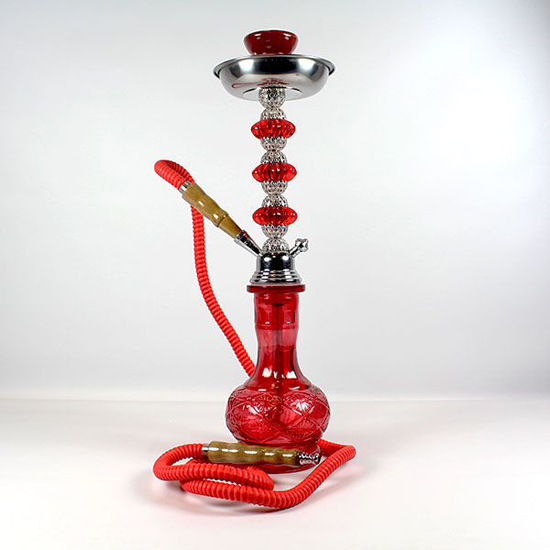 Standing only 25cm tall, this hookah is a perfect way for a beginner, as well as the experienced enthusiast as well, whilst it is not overbearing, it will still give you a very good smoke, either tobacco, molasses, or a herbal mixture depending upon each individuals preference. Now we know that he origins of the hookah shisha pipe are argued over and many countries claim credit for it. What we know is that of the main countries claiming to be the father of the hookah are India, Iran, Turkey, Egypt and Syria. The likelihood is the pipe in its many forms probably made an appearance in more than one country at some time or another, possibly as a result of trade between the merchants of those places. 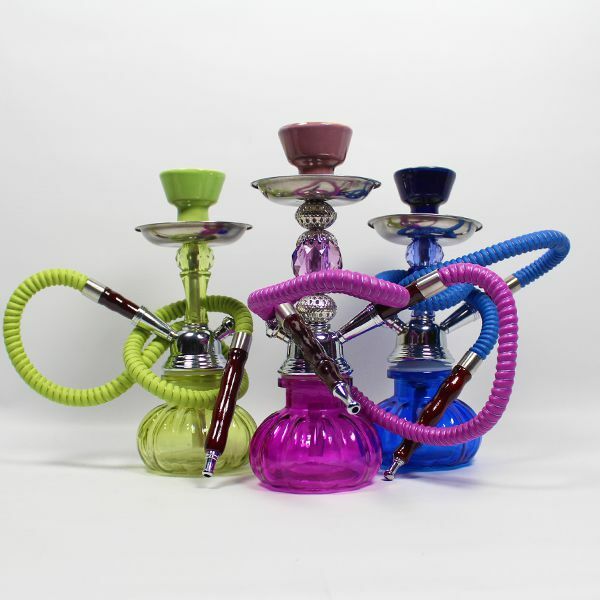 We have a wide selection of hookah shisha pipes, plus all the essential accessories to make your smoking experience the best possible. 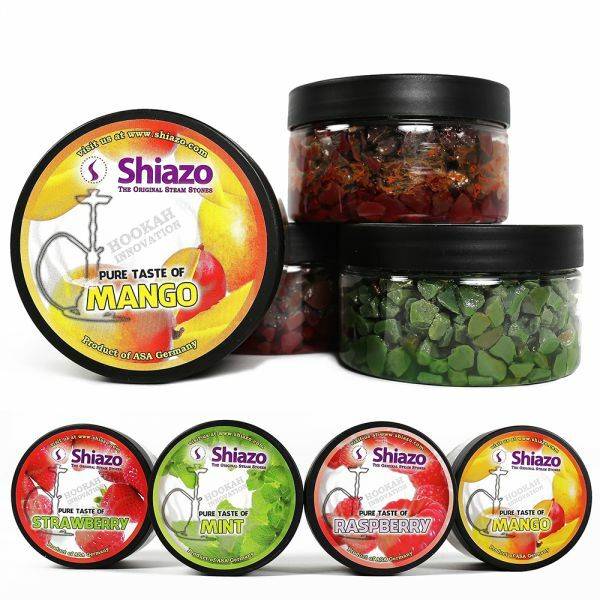 This shisha is an ideal way to start if you are new to the pleasure of smoking herbs or molasses, all the smoke is neatly filtered through water and so you are able to enjoy the flavours without the harmful tar reaching your mouth. Once you have lit the pipe, the smoke travel from the clay bowl where you have added the shisha mix of choice and by drawing on the tube it then travels through the pipe and down a tube into the water filled glass base. 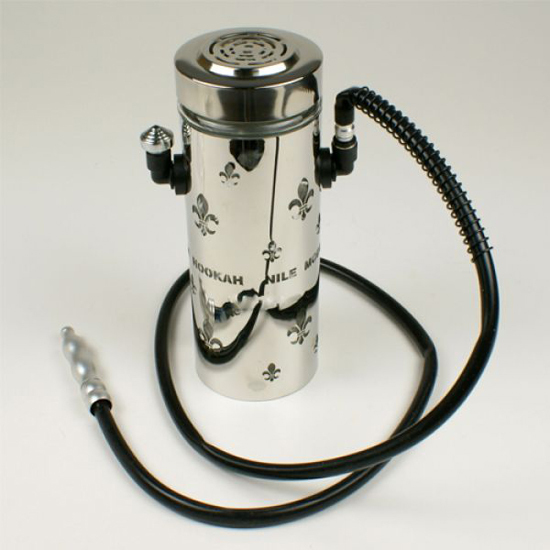 This not only filters out all the unwanted tar, it also cools the smoke before it reaches the mouthpiece, a great advantage over the normal pipe or cigarette. The Avalanche is also ideal for beginners as all the pieces of the pipe fit easily together using airtight rubber stoppers and the traditional clay bowl floats above the coal tray, which is used to load the specially formulated shisha mix. 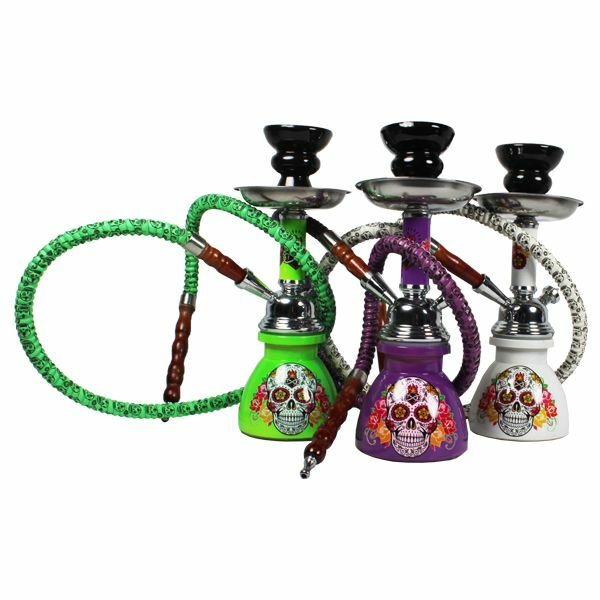 The Avalanche Shisha Pipe is available in three attractive colour, blue, green, or purple and even when you are not using it, the shisha pipe makes an attractive ornament with the eye catching pumpkin style base. 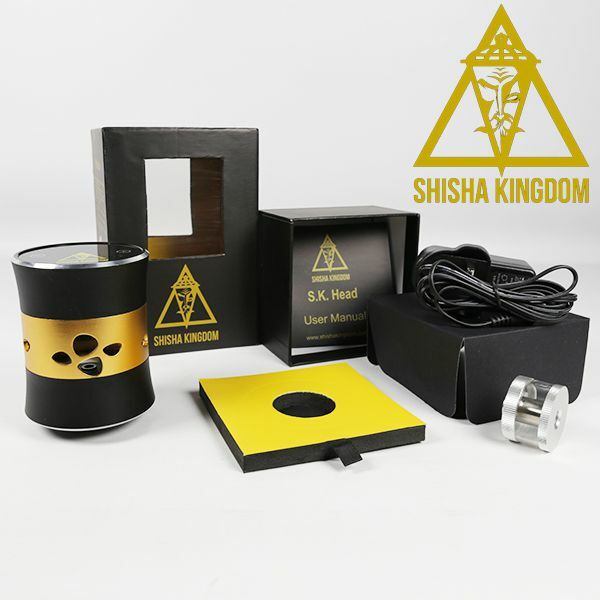 We also offer a full range of Shisha molasses and accessories for the pipe; we recommend that like all smoking products, the shisha is kept clean after using. Well we can tell you it will not fire 800 rounds of bullets a second, but do not think about taking it on an aircraft; this is without doubt the coolest looking shisha ever! 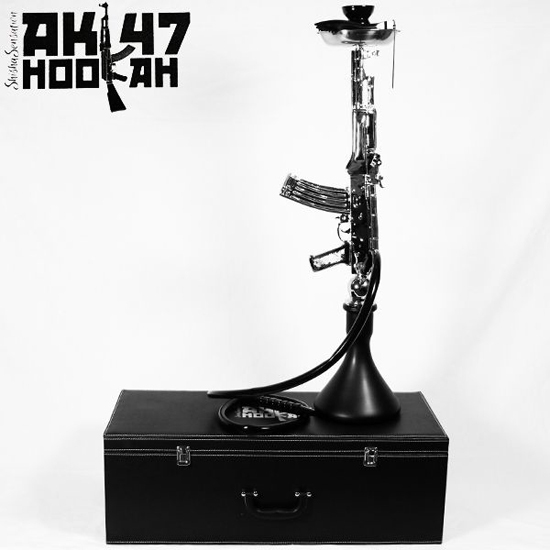 However it will cook up some massive clouds and although it has been designed to look just like the famous AK47 Assault rifle, we can tell you that is a fully functional shisha pipe. You get everything that you need with the Shisha Sensations AK47 Hookah, just add the molasses and the coal and you are away. What we include with this piece of kit is the hard storage case which is also used to transport it if needed. This has foam protection which will ensure that the Hookah is kept in good condition and well protected when not being used. The case and pipe is on the heavy side and it measures 71cm x 31cm x 25cm. This very awesome Hookah is only available for a limited period, when it’s gone it’s gone, so we suggest you grab one whilst they are still available. Available in Silver Chrome and Space Chrome colours. Footballers have been known to get themselves into situations that can upset managers and officials at their clubs. Being seen coming out of a nightclub at 2am on the day before the match for example is one that occasionally hit the sports pages of a local newspaper, but Liverpool star Raheem Sterling has upset the fans of the club by refusing to commit his future to the club. He has now further upset the fans and no doubt the management by being caught on camera smoking a shisha pipe. He was seen inhaling from the pipe during a night out with friends. As might be expected in situations such as this the photograph has been seen on social media and this has given a number of Liverpool fans venting their feelings and showing annoyance at the footballer. There were some comments from fans that claimed that the smoking of a Shia pipe was the equivalent of up to 200 cigarettes, we do not know where they got that information. In the photograph which was seen Sterling was pictured in a white T-shirt with the lettering “1 down, 3 to go”. Some people have come up with the suggestion that this was the number of pipes they intended to smoke. Of course different cultures have some traditions not shared by others, it has to be remembered the Raheem Sterling is Jamaican and smoking of Shisha Pipes is not unusual in that country.